Question: We're having a new home built with a large, luxurious shower. How can we get light into the shower without sacrificing our privacy? Answer: You've touched on one of the hottest trends in construction right now --- adding daylighting techniques to master showers. You can add more light to the bathroom overall by considering a skylight, but the best way to add light specifically to the shower is with a transom window. 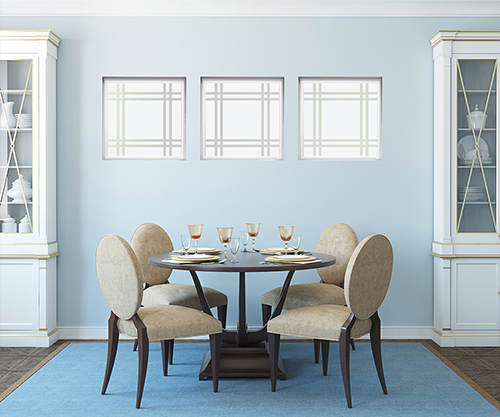 Generally just 12 inches tall but up to 48 inches long, transom windows can sit high on the wall. The fixed windows encourage light into the shower and also protect your privacy. Hy-Lite offers transom windows in both acrylic block and decorative glass styles. You may even wish to add a matching window in the same bathroom over a garden tub to tie in a design theme to your master bath!